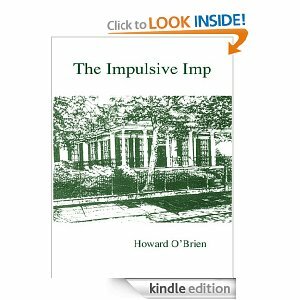 When I first heard about “The Impulsive Imp” by Howard O’Brien I was extremely moved. Mr. O’Brien was the father of two authors, Anne Rice and Alice Borchardt, and the grandfather of author Christopher Rice. Yet it was his other daughter – Tamara Tinker – who published this book as a labor of love, with some help from Ms. Rice and a Mr. Tinker for the cover artwork. Howard O’Brien wasn’t able to get a publishing deal for his children’s book during his lifetime, but Tamara Tinker published it for him after he passed away. Preservation of a work is one of the reasons we choose to publish independently. There are many others… as you will see below, some of them can be political. The modern system of mainstream publishing is not the first publishing system, and while it may seem as though it has been around forever and is an unchanging monolith, it has not and is not. Once being in print was a privilege limited to those who had patrons among the royals or the church, and books were not written for the common man. By the time of the American Revolution, and the French Revolution, independent printing would be a way to get controversial ideas into the hands of the common man. Yet these notions stand in stark contrast to the controversial remarks of Sue Grafton regarding self publishing as a way to “avoid the hard work”. What is Independent Publishing, and why are opinions about it so divided? 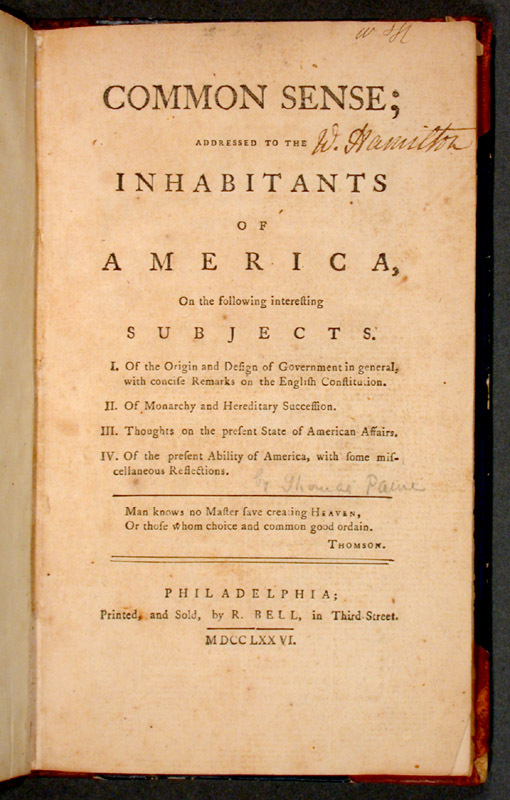 If you look at the print information for the original edition of Thomas Paine’s “Common Sense”, a political pamphlet largely credited with helping to kick-start the American Revolution, you’ll notice something: there is no publisher’s credit but simply the words “Printed, and Sold by R. Bell at Third Street”. The Wikipedia article lists Thomas Paine and his friend Benjamin Rush as the publishers – Robert Bell was in fact, the printer and distributor. The booklet was in fact self published. If we were to create an analogy between “Common Sense” and a book like my novel “Solitude”, which was printed and distributed using the services of Lulu.com and Createspace.com, then I would be in the position analogous to Thomas Paine, my editor Stephen Douglas would be liken to Benjamin Rush, and Robert Bell would be like Lulu.com, the printer and distributor. The main difference between now and then was that instead of going to Lulu.com, one had to go into Robert Bell’s shop on Third Street and commission the printing of these pamphlets instead of doing so online. 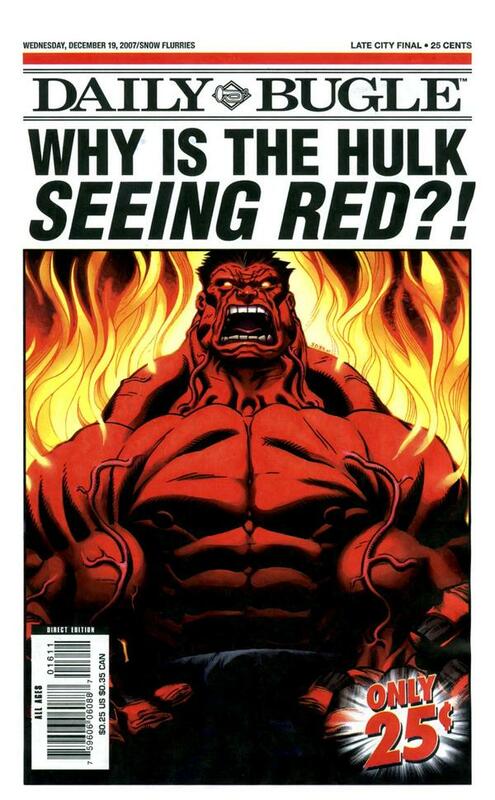 My high school paper… had the same name, but we didn’t get to write about the Hulk. If you are a Marvel fan, you’ve probably heard of “The Daily Bugle”. That is the name of the fictional publication in the Marvel Universe where young Peter Parker works as a photographer. Like Peter Parker, I worked at “The Daily Bugle” during high school – only my Daily Bugle was a high school newspaper, at the time one of only four daily papers in the country, published by my alma mater, McKinley High School in Honolulu. At some point between now and then, the Daily Bugle was replaced by “The Daily Bulletin”, and as you’ll see when you visit the school’s website, it is now being published electronically. The evolution of my high school paper closely follows the changes in independent publishing that have occurred during the course of my life time. While working at “The Daily Bugle”, I learned how to use white tape and exacto knives to create manual layouts for the paper. We had a word processor to create columns of text. That was the state of computers back then: it was 1984. We didn’t have desktop publishing then and the word processing programs couldn’t create multiple columns of text. The next year, I used the skills I learned at my high school to publish my own punk rock fanzine, “Sects-Kit-10”, for a little over a year. 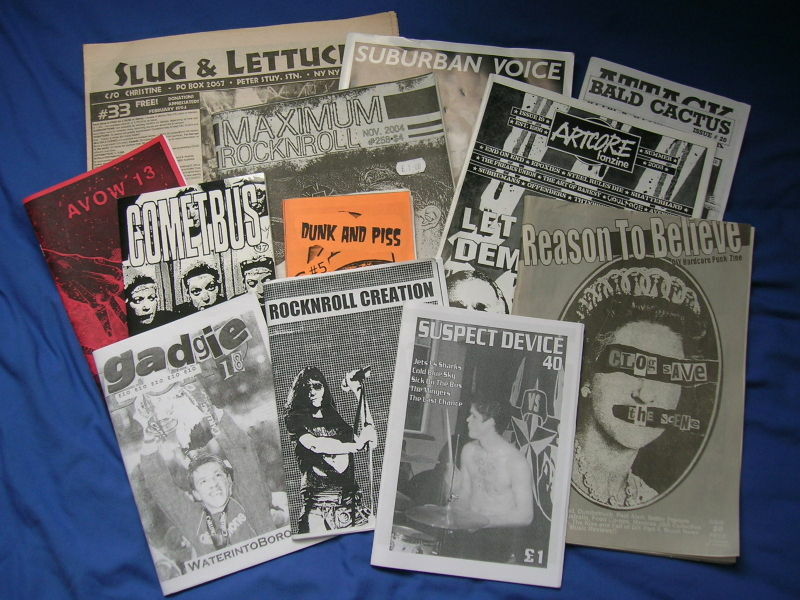 The fanzine has since been lost to the sands of time, but many other fanzines of the era with their use of Xerox machine technology exist to show you what it might have looked like. These were not my first forays into independent publishing: in the late 70’s as a grade school kid I had a greeting card business where I wrote sappy poetry and drew pictures – I could even use a photo of the couple – and did a single page folded into four squares to create a card. Indie Publishing is a term that has most often been applied to small printing houses like Iron Sun Fiction, school publications and self-publishers like myself. For people like me who began to self-publish before it was called self-publishing, back when we were still in print, before the era of the e-Book, it was and will always be indie publishing. The Ippy Awards (an independent publisher award around since 1996) defines an independent publisher as one that publishes not more than 50 titles a year. Many of you probably already know that best-selling crime novelist Sue Grafton came under fire for her statements about self-published authors. However, I am personally of the opinion that Ms. Grafton simply stated what many feel. As a self published horror author, I am already writing in a genre which many people do not take very seriously. I can honestly state that I have received more negative feedback about the genre designation “horror” than I have about being self-published… so much so that the better-selling titles of mine consistently rate higher in their secondary genre science-fiction than they do in horror. So it is very interesting when you are writing in an already maligned genre, to find that even within it, you are not taken as seriously. For instance, I would need to be published by someone else in order to qualify for the Bram Stoker Award – not that I think that I have a snowball’s chance in hell of receiving it. Awards like the Ippy’s have entry fees and then you’re dealing with the other insinuation – that all self-publishing is vanity press. Where Grafton really gets it wrong is where she says “way too many writers who complete one novel and start looking for the fame and fortune they’re sure they’re entitled to”. I really don’t want to single her out, because she is not the only one with a failure of understanding. Not every writer writes to become famous or wealthy. Most of us – Ms. Grafton included – lack the talent of a Shakespeare or a Milton. However, we also generally lack their sense of absolute conviction that their works were masterpieces designed to stand the test of time. 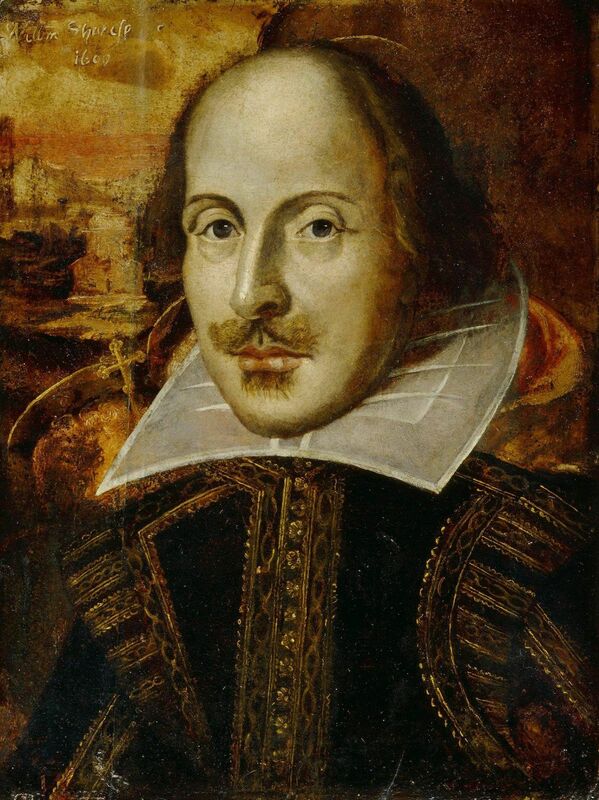 Shakespeare wrote that his verse would live on until judgement day and beyond every monument of stone. Not every writer is endowed with this sense of entitlement. Many of us labor at writing for small audiences. Prior to my ventures into writing fiction novels and following my own creative muse, I like many other writers who enter the workplace in jobs that promise neither wealth nor fame, worked as a journalist for an hourly rate that, adjusted to today’s minimum wage scale, would have been about $11 an hour. I was hired on the same page as an administrative assistant, to perform a job that consisted of writing music reviews and articles about music, proofreading, and desktop publishing. The paper had a limited number of staff writers, and we all had a few different pen names, so there would seem like there were more of us. Writing under four different pen names, there seemed to be zero chance that I would ever become famous. In fact, local notoriety was a distant possibility given the fact that not one of the pen names was my actual name, so only a half dozen people knew I was writing. This situation is not unique to me. A large number of writers labor away in obscurity every day writing content for newspapers, websites and manuals. Others become English teachers and their published works are often educational papers. We write for many reasons – not the least of them being simple love of the craft. One could argue that those of use with more modest successes are universally of more modest talents, but that would be a mistake. Grafton also compared self-publishing “to a student managing to conquer Five Easy Pieces on the piano and then wondering if s/he’s ready to be booked into Carnegie Hall” She has since backed off her statements, but they make a great basis for a dialog on the subject. I am not going to repeat back any of the very convincing arguments supporting indie publishers in the UK Guardian. You can click on the link and read them yourself. However, I do want to talk about making it to Carnegie Hall. My grandmother’s maiden name was Eleanora Lynch. You’ve never heard of her, but you probably have heard of her first cousin – Marian Anderson, the famous African American operatic contralto who was the first black person to perform at the White House, back during the FDR administration. Carnegie Hall apparently, was more progressive than both the White House and the Metropolitan Opera House. Marian Anderson performed there in 1928, but due to the racial climate in the US she was not able to perform at the Met until 1955 – at which time, she was in her late 50. She waited a very long time to perform at the Met, and when she did she was the first African American to sing there. 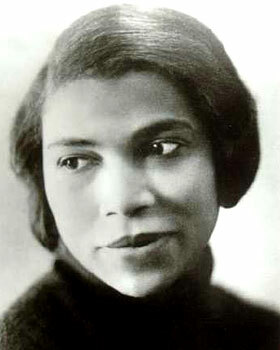 The problem with making it to the Metropolitan Opera House for Marian Anderson was more complex than the issue of making it to Carnegie Hall – she had to overcome hundreds of years of racial prejudice in the U.S.A. and tour in Europe to make a name for herself because she faced so many barriers in the country of her birth. The point being simply: that independent publishing gives other options to those of use who might have a harder row to hoe. If you do a web search on “African American Horror Writer” you’re going to find that Paranormal Fiction writer L.A. Banks, who sadly passed away in 2011, tops a VERY short list of traditionally published black horror writers. I refer people to Catherine Ryan Howard because she, frankly, sells more books and knows more about self-publishing than I do and possibly ever will. She’s been at it twice as long (which is only two years longer, because I’ve only been at it two years), and she gives this advice away for free: although you can order it in book form on Amazon (I have) in either eBook or paperback form (I got the paperback). ~ by Sumiko Saulson on February 1, 2013. I’ve had a tough time clearing my thoughts in getting my thoughts out there. I do enjoy writing but it just seems like the first 10 to 15 minutes are generally wasted simply just trying to figure out how to begin. Any ideas or tips? Thank you! Sorry I didn’t get back to you sooner – I just found your post in the spam box. I sometimes have trouble clearing my head as well – especially when I have a writing assignment. It’s easier to write off the top of my head. When I get stuck I usually get off the computer (where I usually write the finished product) and pull out a journal and write down a bunch of bullet points of ideas I have – basically a very informal or rough outline. That helps me to get enough ideas out of my head as to be able to focus, because when I can’t focus it is usually because I have too many thoughts sort of competing for attention in my head at the same time, if that makes any sense. Writing them down as bullet points frees up my attention. As A Labor of Love� � Sumiko Saulson when I was browsing digg. it. I’ll unquestionably be returning here more often. your subject material is exactly what I’m looking for (writing a college paper) and I hope you don’t mind if I gather some information from here and I will of course credit you as the reference. Of course I don’t mind if people cite my blog for their college papers. I’m not sure how your college professor will feel about it, though. While I do my best to be a credible source, your professor may or may not have any confidence in my credibility. I went over to EasyBib, which is what I use to cite sources for school papers, and they definitely list me as an unevaluated source. Saulson, Sumiko. “Sumiko Saulson.” Things That Go Bump In My Head. Sumiko Saulson, 1 Feb. 2013. Web. 23 Feb. 2013. Speaking of credibility, the idea that anyone would search for the terms “Indie Publishing As A Labor of Love� � Sumiko Saulson” and accidentally stumble up this site seems incredible. I doubt your story and you sound like a bot, but it’s a good question. So I hope the answer helps you, or if not you, non-bots everywhere. Thanks! Does your website have a contact page? I’m having a tough time tracking down it but, I’d like to send you an email. 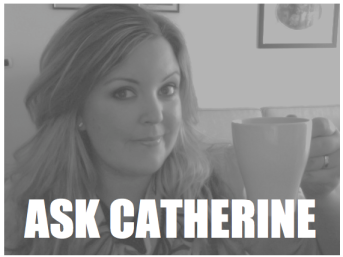 I’ve got some suggestions for your blog you might be enthusiastic about hearing. Either way, great website and I look forward to seeing it develop over time. Again, thanks for asking. I had actually completely missed the fact that there wasn’t any contact info other than on the Interviews page, and that was an oversight on my part, it needs to be there. I simply want to tell you that I am just very new to blogging and site-building and truly loved this website. More than likely I’m going to bookmark your site . You surely come with outstanding well written articles. Bless you for sharing your blog site. swap? I see your blog: http://sumikosaulson. even slightly interested. Thank you so much. Which subject matter might that be? template as me. The only issue is on my site, I’m battling to get the style and design looking like yours. Would you mind contacting me at: katia.trent@gmail.com so I can get this figured out. By the way I have bookmarked your site: https://sumikosaulson.com/2013/02/01/indie-publishing-as-a-labor-of-love/ and will certainly be visiting frequently. Thanks! !